We know that no one person can be an expert in the entire range of advanced planning needs and solutions, so we have built a network of specialists who have deep knowledge across the range of these specialties. Our wealth management process, coupled with the collaboration from our expert team, ensures the high attention to detail that we are committed to providing each physician and professional we work with. 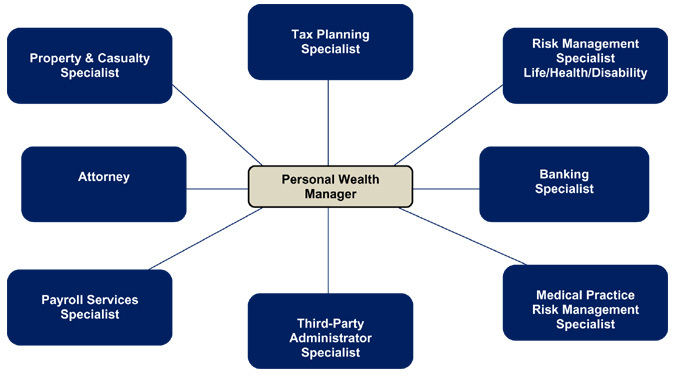 We will work to leverage our expert team to determine the optimal wealth management solutions for your needs.